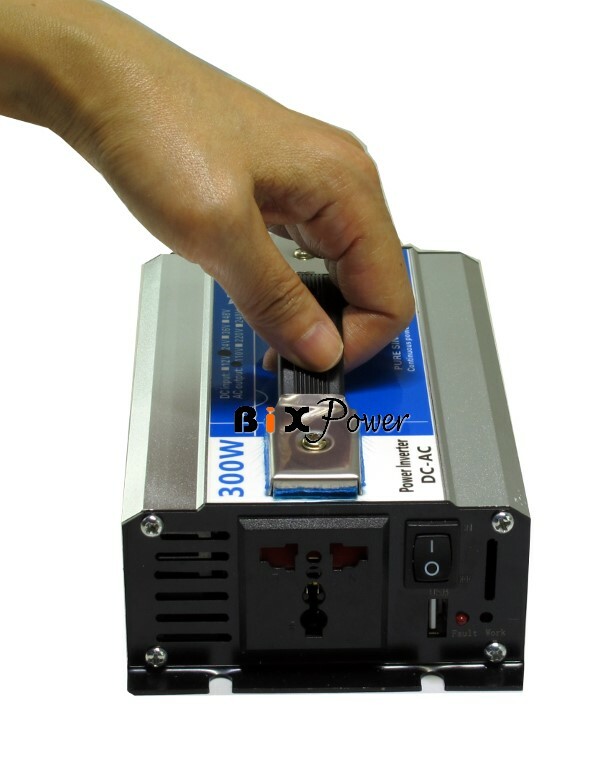 This inverter is very small (7" x 4.5" x 2.4") and light weight(2.1 lb.) It is very easy to carry. Important Note: The power inverter itself does not generate any power. All its power output is from the battery it's connected to. The power inverter just changes the power format and its efficiency rate is about 85%. This power inverter's rated output is 300W. However, the actual power output from the inverter is also limited by the battery output. To get 300W power from this inverter, the connected battery output need to be around 350W.